For the tenth year in a row, CHAM ranks among the best in the nation according to U.S. News & World Report. 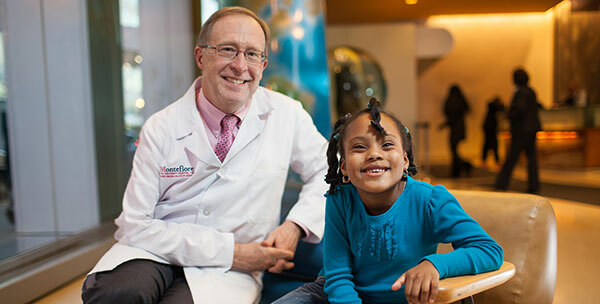 On the just-released list of Best Children's Hospitals in the United States, CHAM places among the top 50 in Cancer, Diabetes & Endocrinology, Gastroenterology & GI surgery, Neonatology, Nephrology, Orthopedics, and Urology. CHAM continues to lead the way in providing highly sophisticated care to children and families from around the community, around the country, and around the world. Three times lower than the national average central line-associated bloodstream infection rates. Over 90 percent of patients undergoing bone marrow transplant survive more than 100 days after therapy. Diabetes & Endocrinology moves up, now ranking at number 42. 100 percent one year and three year survival for liver transplant patients. Recognized success with complicated surgeries, including the Kasai procedure for biliary atresia and complex endoscopy procedures. Neonatology also recognized in top 50 for outstanding patient safety and outcomes. Nephrology continues to rank in the top 25 year over year, this year placing at number 24. Orthopedics ranked number 23, reflecting the high numbers of patients choosing CHAM for their orthopedic surgery care and the excellent outcomes produced by the team, particularly for scoliosis procedures. Urology ranked number 41 in the nation. This year’s rankings will be published in the U.S. News & World Report’s “Best Hospitals 2018” guidebook, available on newsstands September 12. Visit Best Children’s Hospitals for the complete rankings.